Clicking the above image will direct you to a page containing my entry into The Roots "Criminal" Remix Contest. The determination of winners for this first round is really lame (didn't realize this until after the fact); basically a self-promo battle for votes. I guess the judges didn't want to have to listen to 310 remixes to determine what was actually good. But I worked hard on my track and after listening to a ton of really mediocre/bad entries, am totally confident that mine is good enough to be in the top 25, so I'm giving this ridiculous spam battle a shot. So please hook me up with a vote! Just click the link above and press "vote for me" on the page you are redirected to. Then, if I make it to the top 25 I can actually compete in a legitimate remix competition. The top 25 finalists will advance to Round 2. For Round 2, The Roots will make another track from Rising Down available to be remixed by the 25 finalists, and thankfully there will be 3 judges making the final decision. I need to be in the top 25 by the end of the day on Friday to make it to the next round. Many thanks in advance to all the generous people willing to lend me a hand! P.S. If any of you feel like helping me out and passing this along, posting it on your blog, whatever outlets you might have, I'd reeeeeally appreciate it. I'm trying to re-harness any self-promo mojo I might have possessed in the past but I could definitely use the help! is anyone else going to the 98.7 KissFM Liberty R&B Jazz Fest in NYC at liberty state park? Aretha Franklin, Erykah Badu and the O'Jays are playing. I'm looking for new people to meet up with. DeathMask has added new music to their page. Add them, and spread the love. Хардкорный стиль германии очень отличается от своих своих зарубежный про-отцов!! Кaisa 1 ыз самых известных Хардкорных исполнителей германии!! Его свежий релиз. Как всегда все такой же сильный и не добрый! Hey all – just wanted to let you know that we’ll be offering up the latest in our series of free online mixtapes, updated every other month. Offering the best in new music complete with jewel case artwork, Mixtape 6.0 includes new music from RZA as Bobby Digital ft. Inspectah Deck, Atmosphere, Mudhoney, Silver Jews, The Melvins, The Dandy Warhols, Neil Hamburger, Cordero and many more. Download it here. П.с. так же советую заскакивать ко мне в личку, там будет инфа о новых релизах и новостях и обновлениях в моей раздаче! About 350 pictures of pieces, murals and street art all over Rome, Italy -- some increadible art -- some Hip-Hop culture on a truly global scale! pics are seperated into two galleries .. enjoy! 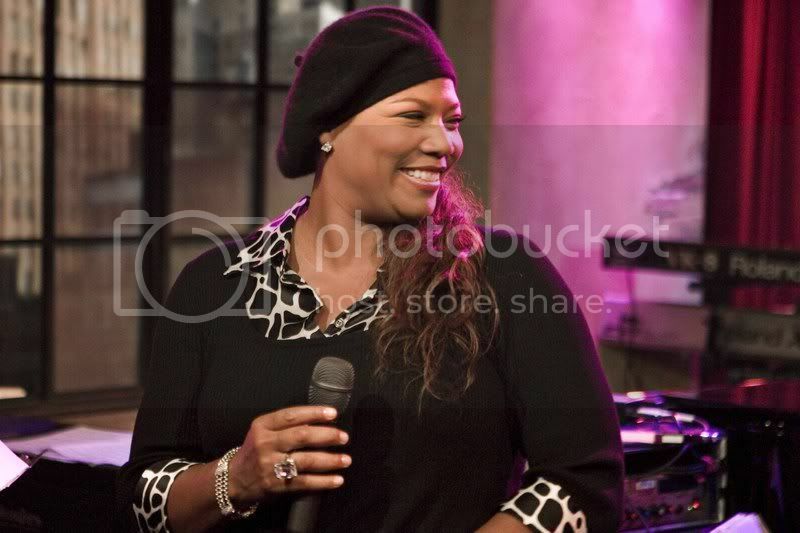 Hey Queen La Lovers, Miss Latifah will be on A&E channel's Private Sessions this Sunday *April 13th* 9am Eastern! April 13th at 9 am Eastern, in an in-depth interview QUEEN LATIFAH tells all – from her beginnings breaking into the evolving hip hop industry to her diverse acting roles covering comedies, dramas, and taking over movie musicals, as well as her latest accomplishment, receiving an Emmy nomination for this year’s Life Support. She also performs “Travilin’ Light”, “Poetry Man” and “California Dreamin’” as well as a rare performance of her signature hit “U.N.I.T.Y”!! Plus, check out AETV.com for a web-only performance of “Simply Beautiful”. You won’t want to miss this! I can't wait! she is beautiful & amazing! Behind the scenes of the new Blu & Exile video for "Blu Collar Worker"! It's dope - check it out! GhettoblasterMagazine.com is proud to announce the latest installment of our free online mixtapes series. Complete with jewel case artwork, Mixtape 5.0 includes new music from The Mobius Band, Firewater, Islands, Living Legends, Brian Jonestown Massacre, Unwed Sailor, Chris Walla, Midnight Movies, Del the Funky Homosapien, Dizzee Rascal, Robert Pollard, Rakim ft. Riney White and many more. Download it here. Since 2005, the QN5 label (CunninLynguists, Tonedeff, PackFM, Substantial, Session, Mr. SOS, Elite, and Domingo) have held a once a year performance in the summer called "The Megashow". Pretty much, it's the only time in the year where the whole label performs together in the same night. This event is 100% FOR THE FANS. A lot of time goes into this event and the artists make sure we get everything for our money. In 2005 and 2006 it was in NYC, and the show was absolutely insane. Special guests came, the venues held it down, QN5 killed it, and it was a good night for Hip-Hop, artists and fans alike. In 2007, the camp took the show to L.A. The show was still a great experience, but it took a good financial hit. Since this show is strictly for the fans, the label has made it clear that there's a chance there may not be a show this summer. The ball is now in our courts and if we show that enough of us will go, we may be able to help give the greenlight for a 2008 show in NYC. Show your support people! Make your voice heard HERE! 8 DIAGRAMS drops December 11th --- the mighty Wu-Tang Clan is back THE ONE AND ONLY!!!! *PYROCLASTIC FLOW: a devasting result of volcanic eruptions, a pyroclastic flow is a fast-moving current of hot gas and rock which can travel away from a volcano at a speed of up to 700 kilometers per hour, reaching tempertures of up to 1000 degrees Celsius.